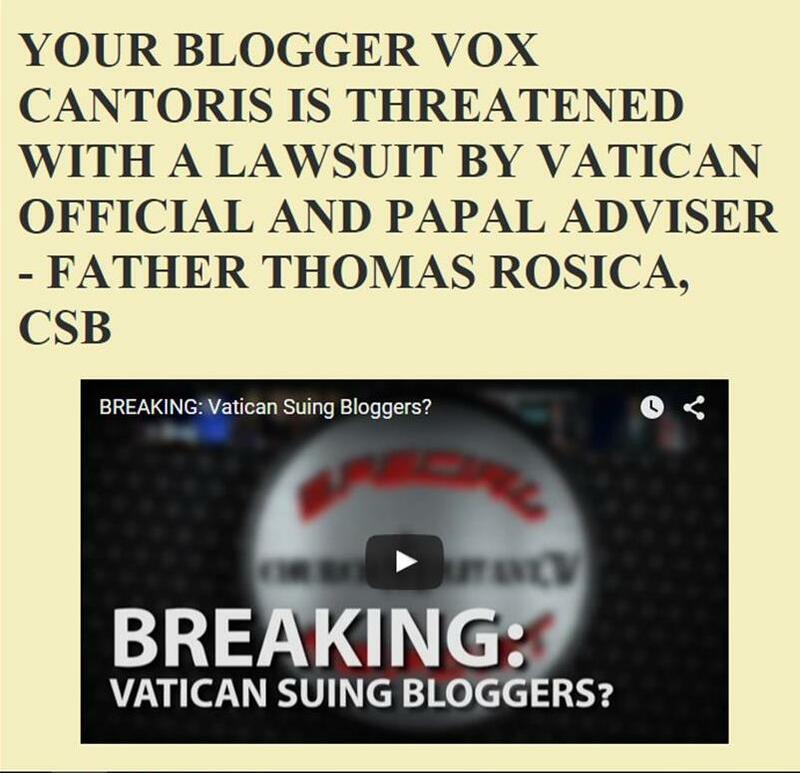 Vox Cantoris: The end of Summorum Pontificum? The end of Summorum Pontificum? There are rumours in French Catholic media, that according to a "friend" of the Bishop of Rome, Jorge Bergoglio, once the SSPX is reunited, and if Benedict XVI is dead, he will abolish Summorum Pontificum. If this is true, then it is one more reason for the SSPX to say, "no." They are already Catholic. There is no schism and there never was. So, let's put that silly argument to rest right now. What I will state is this. If he does, he is the Son of Satan and the mask will be off. It is no more simple than that. If he tried to abrogate Summorum Pontificum it would be a schismatic act. Can a Pope be in schism? Yes, he can, if he breaks with his predecessors. The Pope primarily upholds doctrine and tradition; he is its guardian: no more,no less. So we agree. We have a red line, and will not cross it. It is good to have a red line, we need one, lest we keep doing what we are doing, responding to disaster after disaster, ever moving the line farther and farther back. If someone had told us 10 years ago we would hear even some of the heresy we have heard we would say we would never stand for it, but when it is going on it is much harder to react. But this is a line. Let's keep to it. This may sound crazy, but a formal schism would almost be a relief. It would mean there is one side here and one side there and we have taken a stand for Christ. Right now as it is we are all on the same team, and I don't want to be on the team with these destroyer apostates. Yes, I know, but, if the Church has been hijacked and is under attack, what are we clinging to. At some point we are supporting and enabling. God help us, this is such new territory. Vox, Barona -- There is something about this rumor that gets my hackles up. I hope it remains a rumor. (Please, God, let it remain a rumor.) But we three feel disquieted, because, well, it can be true. It signals something. Something insidious. Something that's coming. Something we all feel, something we are all trying to ignore, but it's creeping up on us. You can feel it in the people, in the air, in the things we see. I do not know. Perhaps I am sensing things I am not meant to sense. But it is disconcerting, nonetheless. Mater Dei, ora pro nobis. We need you and your Son now, and we need to foster relationships with you both. God preserve us. O God, please preserve us, your faithful. Noted that the "rumours" speak of the death of Pope Benedict XVI. Benedict XVI is the bishop in white. He will flee Rome. The prophecy clearly describes the manner of his death. Mask??? Are you kidding? He's been baring his evil face for four years and those who think he's just wonderful will continue to think so, no matter what he does. Huh? How can a Pope break from himself. No he is either the Pope who upholds doctrine and tradition or he is an imposter. No more, no less. The only way the monks at Santa Scholastica, Subiaco can proclaim the Faith it seems is by leaving the monastery and going on foot, in the country side, like St. Benedict. He is the paton saint of Europe and he evangelised on foot.But how are the monks to leave their cars,modern appliances and all-things-found-life style ? Eighty percent of them at the monastery are elderly.They have lay people from the town at Subiaco employed at the monastery. I have been there a few times and had lunch together with the Abbot and monks at Subiaco before last Easter.I have attended Mass there when the people of the town are also present. "... if the Church has been hijacked and is under attack, what are we clinging to[?] At some point we are supporting and enabling. We need to remember that the Church is not just made up of the Church Militant, but also the Church Suffering in purgatory and the Church Glorious in heaven - all of which have gone through their own sufferings. Seattle kim - I beg you to reconsider your Sedevacantism. The only One True Church is the Roman Catholic Church with or without a good pope. Thank you, John, for your defense of the Church. One day the crisis will be over. Until then, we pray and work. Dear John, The Catholic Church is indeed the one and only true Church of Christ. The Catholic Church is built of members and not bricks and those members are in the three groups you named. What you misunderstand is that the conciliar church is not the Catholic Church - it is the church of man; the counterfeit church built by satan trying to eclipse the Catholic Church - just as foretold by Our Lady. Sedevacantists are no more than faithful Catholics who cling to the true Faith exactly as their fathers did through the ages. You must understand that there is a huge difference between an heretical pope, who sins against Faith and a bad Pope, who sins against Morals. There have been plenty of bad Popes, who nonetheless were and remained true Popes. However, there has never been an heretical Pope in the history of the Church - St. Robert Bellarmine and Vatican I. The conciliar "popes" are anti-popes because they have all been heretics who have taught heresies. Heresy leads to automatic excommunication from the church and one who is not a Member, cannot be Head. There is loads of theology on this vital point. I think you mean "with or without a Pope." Sedevacantists do not leave the Roman Catholic Church. Heretics and schismatics and apostates do. The Church will always have the office of the papacy, but nowhere was it ever promised to be filled at all times. When it is filled, it is the duty of every Catholic to assent to Christ's Vicar on earth. So if you think Bergolio is pope, then stop resisting him, assent, and defend his teachings. You may need a lobotomy first but hey, if thats the price of remaining in "union" with your pope, then get with it. Only until it is clear that "the faith will be preserved in Portugal" and not in Rome do I think it wise to step outside of the barque of Peter. Until then, I prefer to suffer in patience. Hell, Francis even had the audacity to refer to himself as a 'Bishop in White' at Fatima during the 100 year centinary. Francis could well be an Anti-Pope. That said, one doesn't even know if the Vision of the Bishop in White is authentic. We certainly know it does not tell the entirety of the 3rd Secret. It could well be a vision Jacinta had that the Vatican attempted to pass off as related to the 3rd Secret. We have seen the kind of men we are dealing with. Even if the Bishop in White vision is not authentic, it would not surprise me if God, being put to the test, decided to bring about the events exactly as described in the vision anyway as a punishing self-fulfilling prophecy. Get a good look at the beauty of St. Peter's Basicilica. Just like the Temple in Jerusalem on 2 occasions, it is likely to be destroyed as a sign of God's anger against the corruption of His Preisthood and Worship. Hi to all my brothers and sisters in Christ. I apologize for my English but it is not my mother tongue. Here in Italy we are trying to organize a form of resistence. We are preparing to resist hidden and to preserve the Tradition. 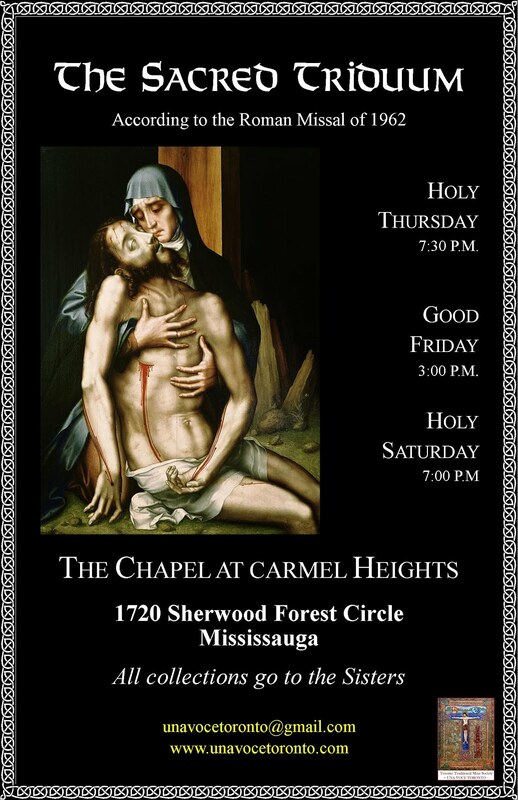 We are promoting the latin mass with the messale romanum that was used before 1962 (yes, we are resisting even to the 1962 messale because it had been shortened and we lost a lot of our tradition), the sacratissimi rosarii in latin, small groups to pray and help each other. Maybe the modernism will hit harder in Italy than in other countries but we don't mind. You will be always in our prayers and I am so happy to know that in a country so far there are people that are worried as us about what is happening in the Church.